This Freebie Friday hits close to home and is very special to me. The month of October is Breast Cancer Awareness. 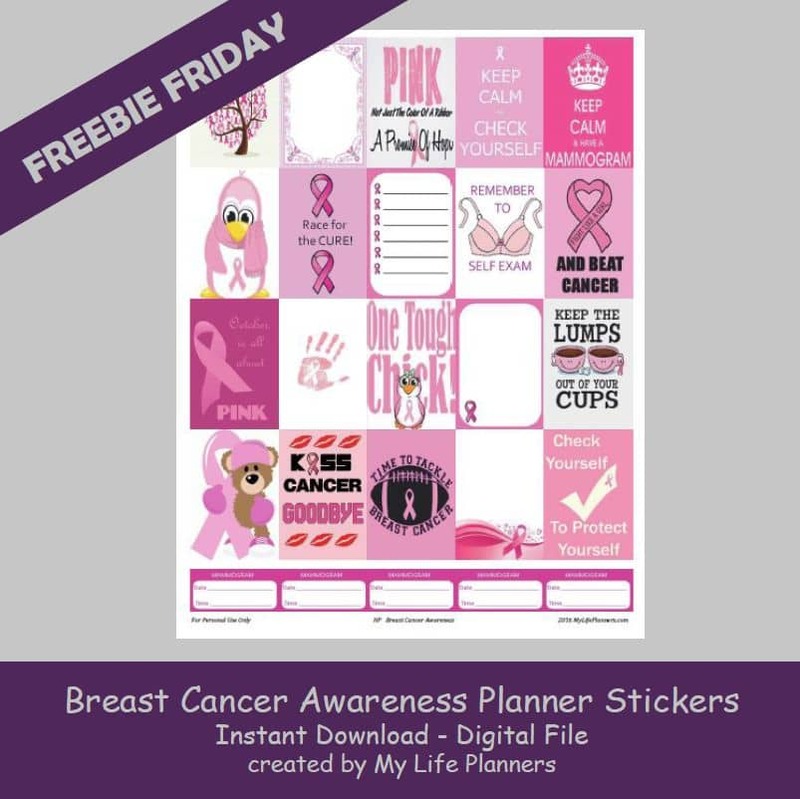 In honor of my sister who I lost to breast cancer, this week’s Freebie Friday features Breast Cancer Awareness. I encourage you to please share this link and decorate in pink. Breast Cancer is a serious issue and hopefully there will be a cure soon. For those that do not know National Mammography Day this year is October 20th. It’s always the 3rd Friday of October. I’m trying something different this week and offering the standard size of EC at 1.5” x 1.9” and HP at 1.5” x 2.25”. The stickers will fit most planners.